Old fisherman's house, located directly on the beach called Micenci. An exclusive accommodation, which guarantees a harmonious blend of tranquility, sea, sun and relaxation. The apartment inside the property consists of n. 1 double bedroom, n. 1 double room with bunk bed, hallway, living room, kitchen with microwave, dishwasher, n. 1 bathroom. The property includes a veranda facing the sea, large rear patio with dining area, garden. The town center is within walking distance from the beach. The house has a large private car park, the house side. The shares shown in section rates include utilities, home kit, Wi-Fi. The price does not include the final cleaning charge of EUR 50.00. We stayed at this house for 2 weeks, just came home. We loved the house, and the beach is unbeliavable. The pictures cannot tell the whole truth. We are a family with children, 7 and 16, and we all loved it. The house was perfect in every way: perfectly clean, beautifully decorated, and the scenery was something unbeliavable. Empty beach, with many kilometers white sand! No tourists, just some italian families. The owner's parents live in the same house, and they were extremely helppfull in every way. We were only sorry not to be able to talk with them more, because our italian is very limited. Only thing I would have hoped is, that there were more nice restaurants is Donnalucata. But, it only takes about 10 minutes with car to Scicli or Marina de Ragusa, were is lots of restaurants. Thank You, we hope to return some day. We stayed with Luca and his amazing parents twice in 2013 and 2014 and we fell in love with everything about the place and the people. Our kids loved the beach, the house was immaculate and Luca parents who live next door are the nicest friendliest, helpful people you can meet. We felt so at home there and totally spoilt on holidays. Only problem for us is that our children have got bigger and have left that stage of buckets and sand and want a pool (much to our disappointment) but as soon as this stage goes we will be back staying at Casa Luca again. La casetta è la più graziosa della spiaggia. I proprietari (non locali) soggiornano nell'appartamento adiacente e con discrezione sono sempre a disposizione per tutto con una cortesia ragguardevole. Pulitissima, le immagini proposte non rendono l'idea, non manca nulla, ma proprio nulla! .. compresa l'attrezzatura per il mare ed una piccola spesa di cortesia all'arrivo. Attenzione… Donnalucata è forse la location meno attrattiva della zona, ma... dove lo trovate un altro posto così? Davvero un'esperienza unica, proprio perché è la terza volta che ho soggiornato posso garantire che sia un posto a dir poco mozzafiato, la posizione é ottimale e si può godere di un tramonto che pochi luoghi lo possono superare! La casa è accogliente, pulita e ordinata e curata in ogni dettaglio, altra cosa positiva la doccia all'aperto per scrollare la sabbia prima di entrare nel patio , ottimale! Il proprietario disponibile e simpatico, consiglia il meglio da vedere ed assaggiare. La casa è situata a pochi passi dal centro passeggiando lungo la bellissima spiaggia. Nella piccola Donnalucata non manca l'alimentari, la buonissima granita e tutto ciò che può servire. Ci tornerò ancora, lo consiglio per chi vuole uscire dal mondo e godersi una vacanza che non dimenticherà mai, ottima anche con bambini piccoli. Ci tornerò assolutamente!! 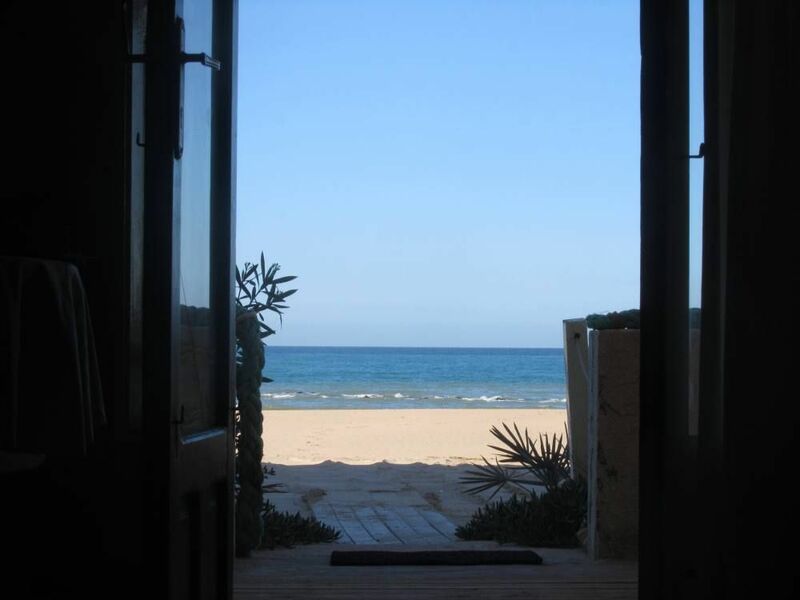 Directly accessible by car, large private parchieggio on the beach.